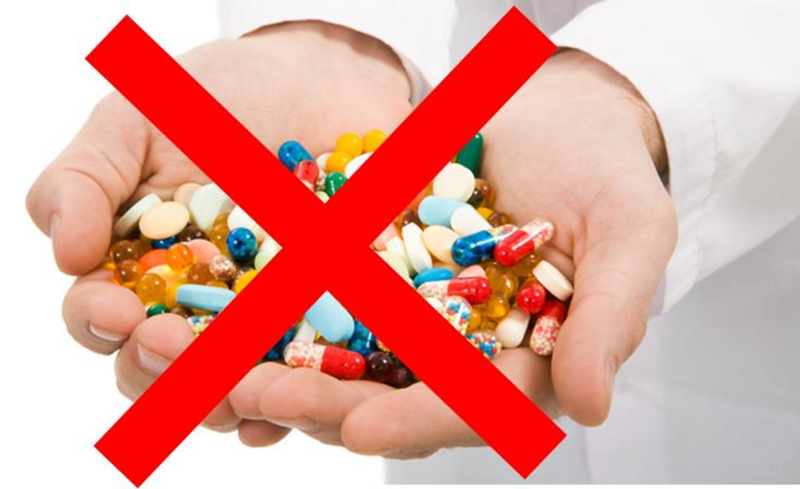 One of the keys to success with The Nemechek Protocol is strict avoidance of unnecessary, over prescribed supplements. The supplement industry is one that is rampant with fraud (over 75% of the supplements on the market are not what they say they are) and a quick google search will verify that statement. When we first started our journey on this protocol, I read the instructions to remove all supplements and did so without hesitation, which was not that difficult considering that Sara was not on very many, to begin with. Before starting the Protocol I had consulted with a Naturopath and went in quite firmly stating that I had no interest in giving Sara the smorgasbord of supplements that I’d witnessed so many times on the many bio-med FB groups I was on. I was not interested in going down that road and Sara would not have done so willingly either. At the time we were only taking Inulin, Probiotics, Fish oil and Magnesium citrate and even that regimen was daunting to do every day. Even so, I walked out of there with a few additional items and an open mind. According to the Naturopath (who I adore and think she was terrific) she recommended that we drop the Inulin and add in: Cod liver oil (with added Vit D and Vit E), B6, Magnesium Glycinate, Vitamin E8 (all 8 strains of the E vitamin), Iron, B12, digestive enzymes and a Paleo diet. What she said made sense, and we were desperate to get Sara back to how well she had been doing so we dropped $400 and were committed to giving it a try. At our next visit, she trepidatiously let me know that she would like me to possibly consider adding in Garlic Forte (or Allimax), 5-HTP, ginger and mb12, which I declined. Meanwhile, Sara’s health declined on these supplements. If you have seen my success story video you may already know that before I found this Protocol I had “accidentally” put Sara the protocol – when I put her on a GF/DF diet I also started her on probiotics, inulin (because I thought it was “food” to help those probiotics to flourish), fish oil and we were cooking with Olive oil (though it was likely fraudulent). Sara transformed before our eyes, and without question, I believed it was because we removed Gluten. It never occurred to me that the inulin was fixing her gut bacteria and the oils were fixing her brain. It was amazing to see, and every day she drastically improved until a few short weeks later it all started to go away. I know NOW that it took a few weeks for those probiotics to kick in and begin to wreak havoc in her gut, ruining all the fantastic progress. When we went to the Naturopath, and she removed the inulin the situation worsened before our eyes. To say that we were desperate to get all that back is an understatement and so I was willing to consider supplements. Sadly, they did not make things better and in fact, probably contributed to her continual decline. Thankfully, I found this protocol VERY soon after and tossed everything out the window. Recovery came back and has not stopped! So trust me when I tell you that my daughter is not the exception, that just because we were not deeply entrenched into the world of bio-med and supplements, she was just like your child who was told they need copious amounts of supplements to get better. This is more of a comment than a question. I’ve started to write this comment but stopped many times. But I think it is important for other parents to read. As a parent I started this protocol truly believing that even though the protocol might work, I know best and I know what my child “needs.” So for months I made myself the exception. I continued to give my child multivitamins, minerals and supplements that I knew he “needed.” Natural or whole food vitamins, green food powders etc. had to be okay, as far as I was concerned. I even thought certain probiotics had to be okay. It was not until I stopped thinking I knew best and completely stopped all of the supplements that I started to see my real child underneath it all. He is 10 and its like he is a little kid again. It took a few weeks but now he is being sweet and smiling and having fun. If he gets upset i t is no more than I would expect from a 2 year old and he can calm down if I comfort him. He is affectionate. He makes eye contact. He is repeating what we say, but its not echolalia. He has a sense of humor. He makes simple 3 – 5 word requests. He is showing interest in toys and books without stimming with them. I didn’t think I could be patient. But seeing the changes now, I enjoy being patient. I know that even if we have a bad day he is in the process of healing. Over the past 8 years I have despaired more than I can say. I have tried everything I could afford to do and thought was safe for him. And for the first time I have real hope. Its a hope I haven’t had for him since I brought him home from the hospital. I am so glad I came across this protocol and so thankful that Dr. Nemechek has this website and is willing to help parents through this blog and the web videos. I’m so grateful to understand what may have caused this to happen to my son and that recovery is possible. Thank you so much. I get why people are clinging to their supplements, I am sure it is challenging to remove something that has, for all intents and purposes, appeared to have provided some degree of improvement, but it is imperative that you strip away all the “extra’s” and really let this protocol do its work and get your child recovery!